Production art for "Black Light"
On the heels of a hit spring engagement at The Public Theater's Joe's Pub, Black Light, a new work written by and starring Jomama Jones—the alter ego of Daniel Alexander Jones—will arrive at off-Broadway's Greenwich House Theater this fall. Directed by Tea Alagić and featuring music direction by Tariq al-Sabir, based on Samora Abayomi Pinderhughes's original arrangements, the work will begin previews on September 24 with an opening set for October 10. "Daniel Alexander Jones is a boundary-breaking visionary, an extraordinary artist-shaman who creates euphoria in the theater. He is what the world needs now," said Public Theater Artistic Director Oskar Eustis. "We are thrilled that Jomama Jones is continuing her life beyond Joe's Pub." 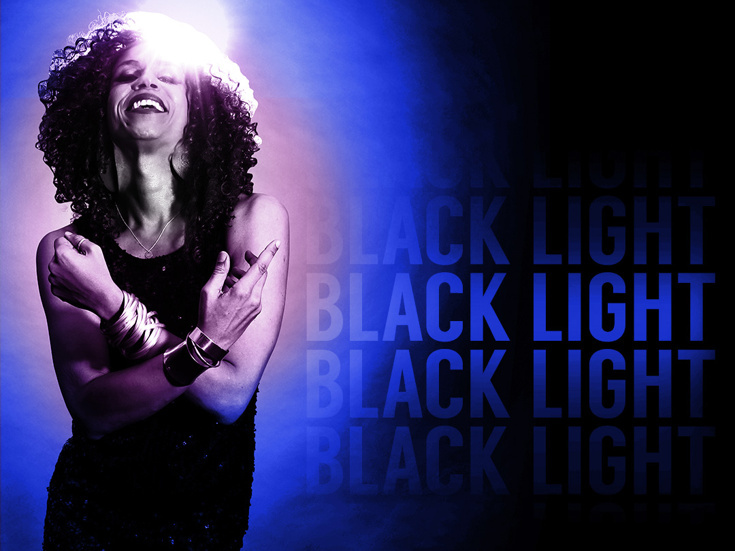 Black Light draws musical influence from Prince, Sade, Diana Ross and Tina Turner, and is marked significantly by the Black American Freedom movement, Afromysticism, goddess mythology and divination. Black Light features original music by Jones, Laura Jean Henderson, Bobby Halvorson, Dylan Meek and Josh Quat. Black Light is slated to play a limited engagement through December 31.